Many fishing families say that the business is in their blood. Parents pass down boats, businesses, skills, and stories, sometimes across many generations. Our fishing families tell stories about what it means and what it takes to bring up a new generation in the fishing industry: how hard but proud it is to watch them go out for the first time, and how much it hurts to watch them leave the water. Chris Wright Sr. and Jr. tell the story about the son’s first trip out with his father. “It was going to be that touch of home,” Chris Sr. said, to take him scalloping. 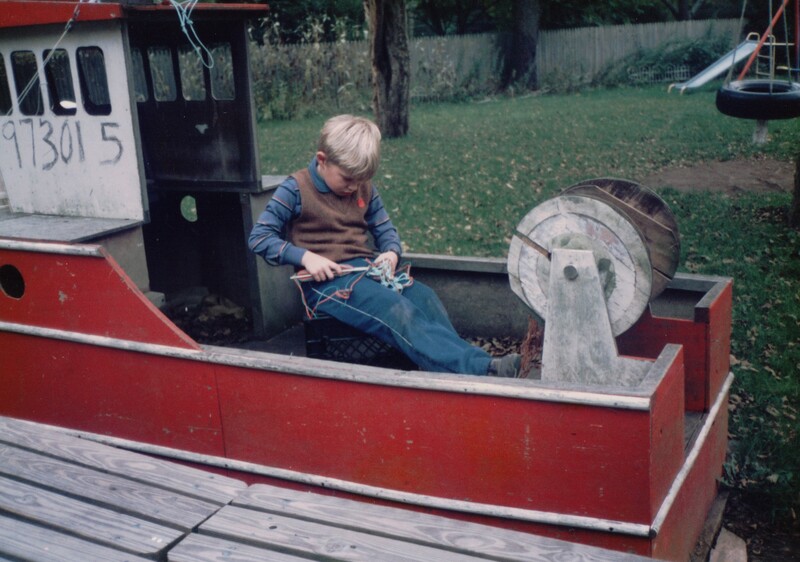 Lou Lagace shared a series of shots of his son Alexander, growing up on his father’s boat, the deep sea clammer F/V Mariette. He’s now the captain. Click on an image to view the photos as a slideshow. 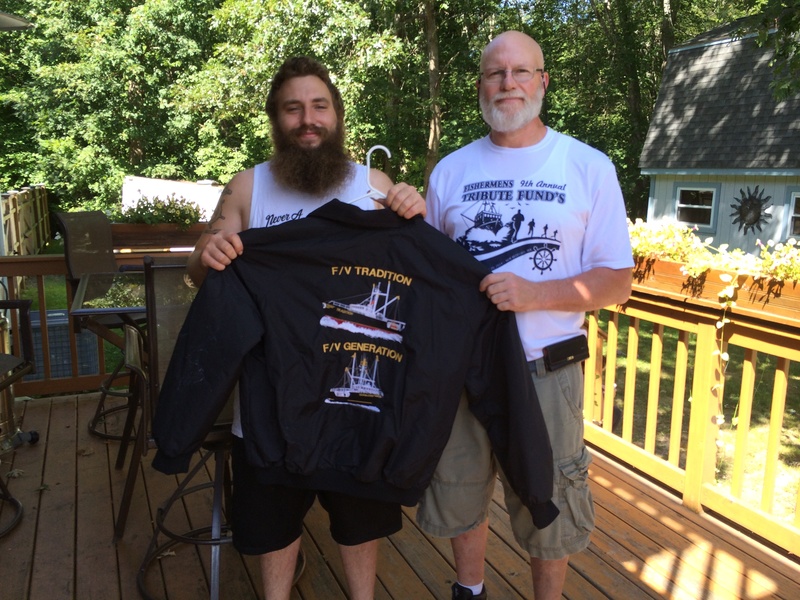 And another father and son: Captain Ronnie Shrader of the F/V Tradition and F/V Norseman, and his son Dylan, also a commercial fisherman. Captain Ronnie hopes his son will also be a captain some day. 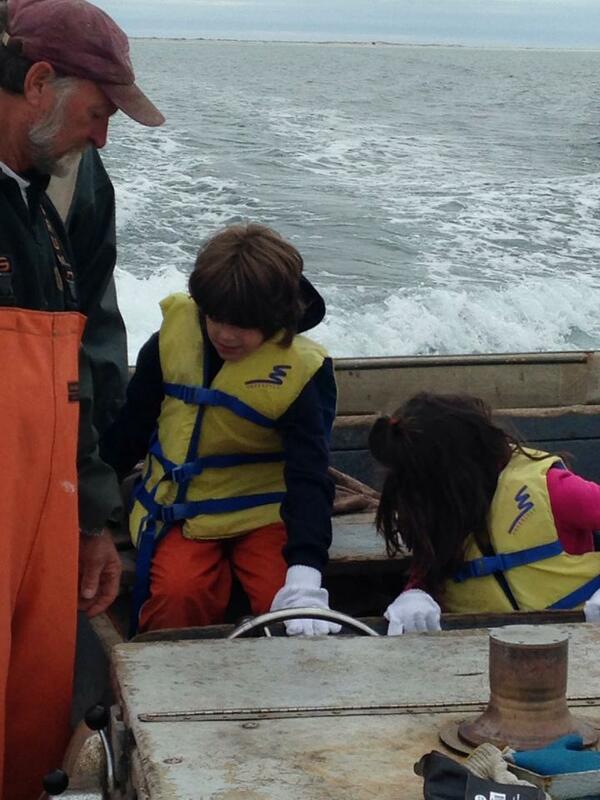 Morgan Parker of Fishing Partnership Support Services shared this photo of Ernie Eldridge taking his grandchildren, Ethan and Madison Parker, to the weirs in Nantucket Sound, off of Chatham. Nick and Zack Keding went aboard the dragger F/V Shearwater out of Plymouth this summer; their father Jim Keding is the captain. Zach Keding aboard the F/V Shearwater out of Plymouth. Nick Keding aboard the Shearwater. His father Jim is the captain. Justin Tonnesen and Tor Bendiksen are children of fishing families who did decide to stick with the industry — and they think it makes them better at their jobs, too. “I wouldn’t even know what else to do,” says Justin. Tor Bendiksen had a knack for net mending. Enter your email address to receive updates and new stories.